Get a grip on the HS-13 with this foam handle. The durable foam allows for a comfortable grip while still leaving you in control. 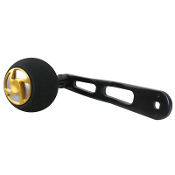 For a better hold, or just a new look for your HS-13, the foam handle is a great choice. Available in all colors to match your HS-13.